In contrast to the noise of the huskies in Riisitunturi National Park our visit to the reindeer farm was peaceful and these gentle creatures were the complete opposite to the over excited huskies. 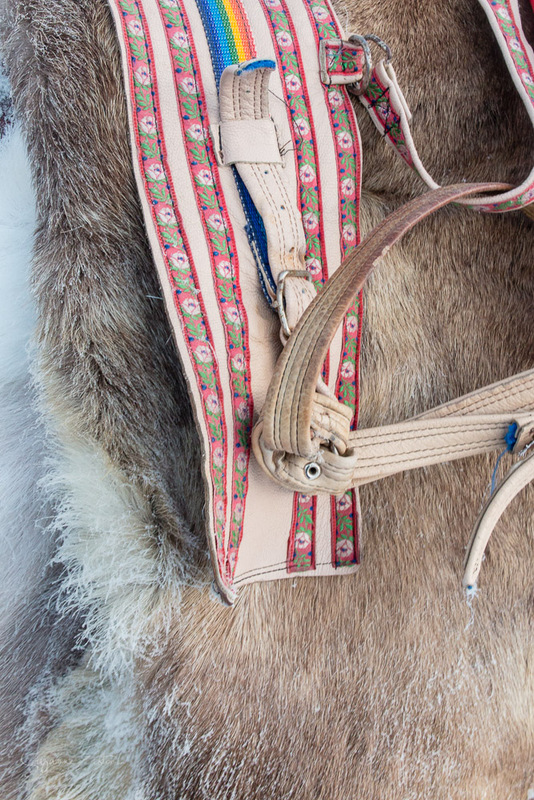 Palosaari Reindeer Farm is family run and is between Ruka and Kuusamo. The reindeer are farmed sustainably for their meat and skins although a small number are kept for racing and chores around the farm. The antlers from both male and female reindeer are used for tools and decorations. Reindeer driving is a totally different experience to the madness of the dogs. Slow and steady the reindeer plodded along. Taking in the view, stopping for a snack on some lichen that had been dropped and making their way along the tracks in their own sweet ways. It was hard to think that these docile creatures were actually farmed. Their meat, skins and antlers are all useful to the Sami people with everything including soap being made. Beautiful carved tools, warm rugs and delicious sausages cooked over an open fire were explained. It was an interesting adventure into a whole different way of life. Reindeer calve in May and the calves are slaughtered in October in a similar way to lambs at just 5months old. Heading into the paddock the reindeer were keen for lichen. Hand feeding this little delicacy was a hazardous occupation. Antlers were enthusiastically nudging towards small boy eyes, still attached to the oblivious reindeer it was a game of duck and dodge. These reindeer were obviously loved by the farmers. Their care is their livelihood and despite the temperatures it was clear to see the relationship between these gentle creatures and their owners. Whilst I teeter on the edge of being vegetarian, the reindeer have tranquil lives roaming free. This helps with accepting their short lives and the concept of farming a little better. 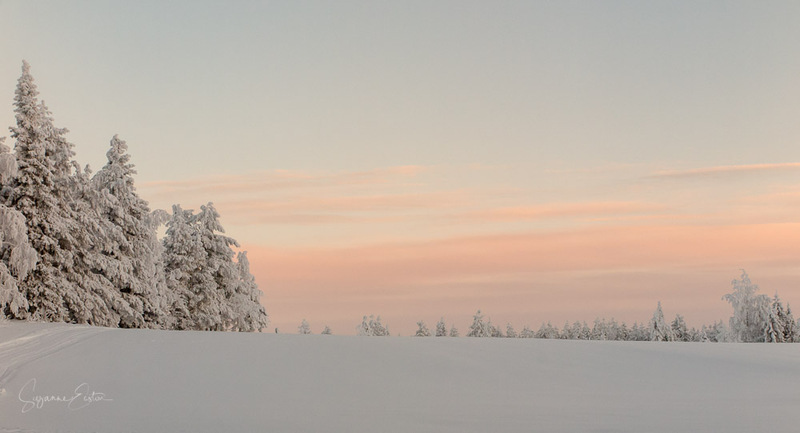 This small family run farm is located between Ruka and Kuusamo. There is lots to do beyond the reindeer with wildlife programmes, nature walks and fishing in the crystal clear lakes. The reindeer are the stars with unique personalties that can be captured on camera. The smaller details are also perfect for capturing. In early summer young reindeer can be found in the forest with their mothers. Just be careful around these creatures! Their antlers can cause damage even unintentionally!